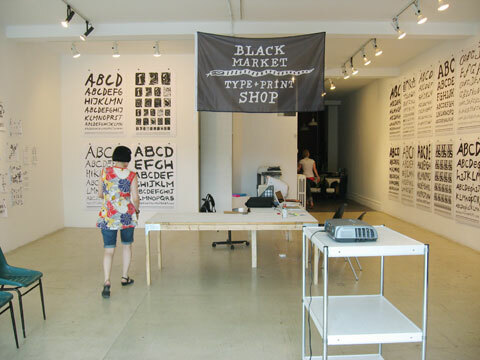 I went to see the exhibition "The Black Market Type & Print Shop" at articule in Montreal. The show was open from May 23 to June 22, 2008. The curator Joseph Del Pesco chose 20iest century and contemporary artists that used letters in their art works. 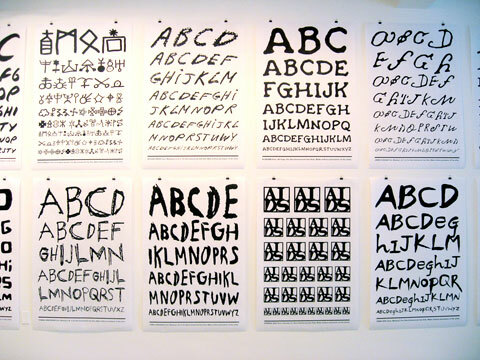 He extracted the letters from the artwork and with help of a type program he created alphabets. 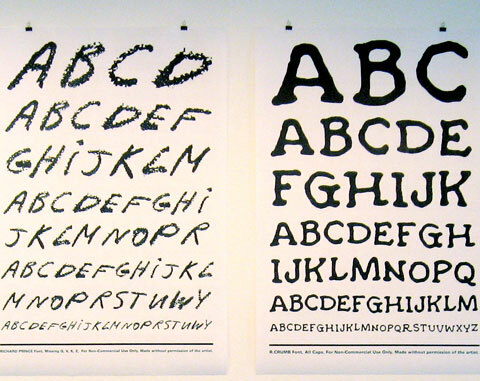 A poster with the pertient typeface was named for each artist. In a performative event 14 international artists and gallery visitors were invited to create text-only posters with the typefaces featured in the gallery to be distributed around Montreal. The event is part of Viva! Art Action.